Plettenberg Bay is a resort town in the Western Cape Province of South Africa. With a population of more than 31,000 people, it is blessed with awe-inspiring mountains and calming beaches. Plettenberg Bay is the chance to enjoy the Garden Route gems at your own pace. Touristic attractions include whale watching, Plett Game Reserve and Lawnwood Snake Sanctuary. 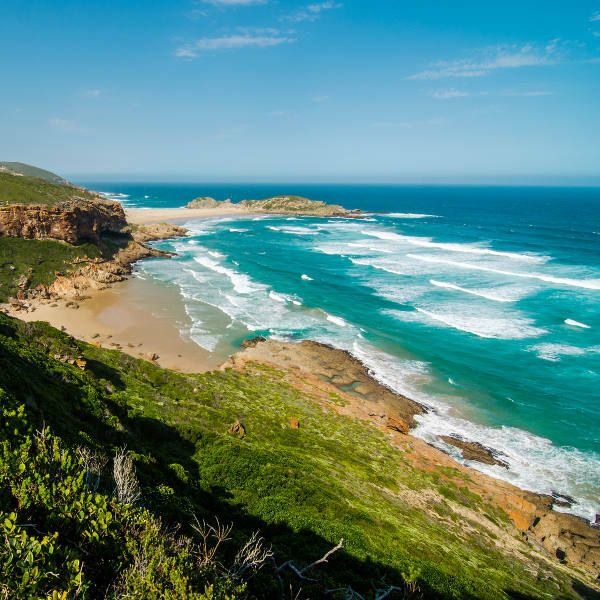 Cheap flights to Plettenberg Bay are now available for a limited period of time, so get ready for an incredible adventure in this amazing town. Plettenberg Bay is the home of Plettenberg Bay Airport (PBZ), which is a 10-minute drive from the city centre. PBZ serves the airline called CemAir. Popular flights depart from Cape Town and Johannesburg. There is one flight per day. The flight duration from Johannesburg to Plettenberg Bay is approximately 2 hours and 30 minutes. These world-renowned beaches, with endless miles of golden sand and waves that attract the best surfers, are worth visiting. Choose amongst the best tranquil views, from Central Beach to Robberg Beach, Plettenberg Bay is beach heaven! Located near Plettenberg Bay, the Birds of Eden is the largest free flight bird aviary in the world. It is an incredible feat which stretches over a gorge of indigenous forest. 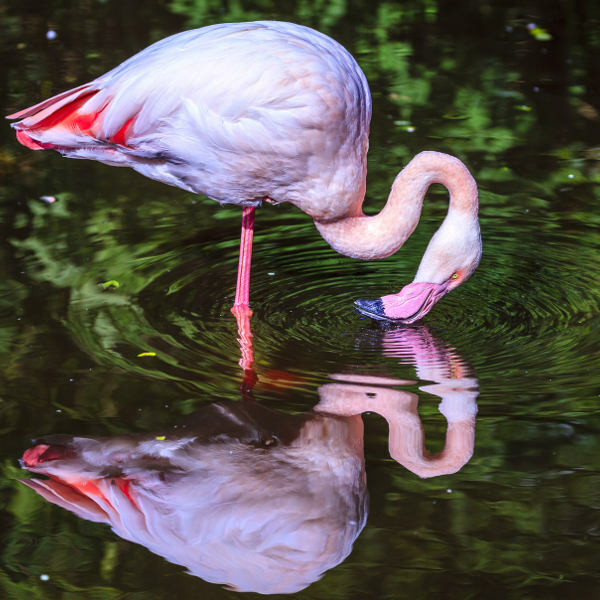 Visitors can see over 220 bird species, including flamingos and swans. 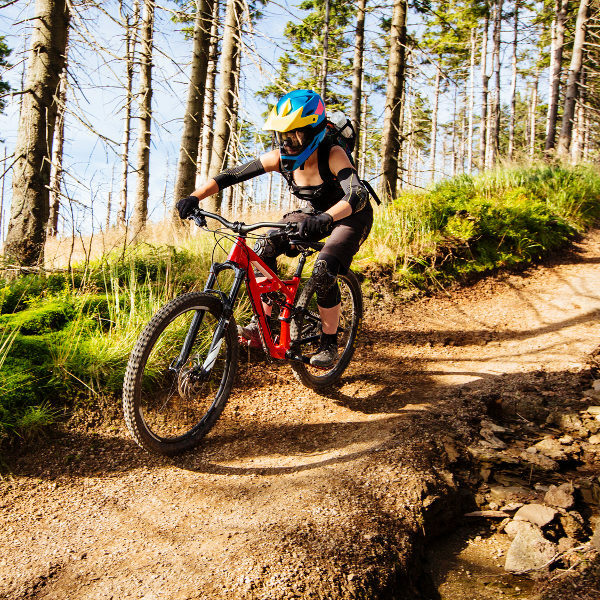 Discover insanely amazing cycling and mountain bike trails, tracks and routes near and around the holiday town. Throughout your intense cycle work-out you’ll be rejuvenated by lush, emerald indigenous surroundings. Located along the Garden Route, Plett’s peak season runs from the months of December through February. The Garden Route and especially Plettenberg Bay can become profusely packed with holidaymakers as it is school holidays. If you wish to avoid the peak season mayhem, November and March are ideal months to plan your Plett vacation - minus the rage. Tourists will also be delighted with the lower room accommodation rates, as many businesses offer discounts during low season. Insider’s scoop: Plettenberg Bay has a secret season or rather, “whale season”, not many know about it as it falls outside of the busy period. For an extravagant showcase of migrating whales displaying incredible water acrobatics, be sure to visit Plett from June to November. Nestled on the beautiful Garden Route, Plettenberg Bay is a scintillating resort town with the most exquisite natural scenery. This friendly, laid-back town is a South African gem. Originally named Bahia Formosa (Beautiful Bay) by early Portuguese explorers, this visual beauty is also called the “Jewel of the Garden Route”. Upon arriving in Plettenberg Bay, she dazzles you with her mountain and beach mystic. Nature triumphs in these neck of the woods, it is a quality destination for those who thrive outdoors. With the luxurious choices of cycling, hiking and animal watching, you are in for a splendid time. Famous for its end of year mayhem, Plettenberg Bay is home to Plett Rage – South Africa’s longest lasting Matric party - festival. The town becomes alive with raging music and all-round fun celebrating a new beginning in their lives. Plettenberg Bay is truly a destination for unwinding and for a temporary escape from the city life. Visit Birds of Eden for a tranquil escape and bewilderment, it is the largest free bird aviary in the world. The town has a variety of accommodation options to choose from. Be sure to venture to Plett for a rewarding vacation. Compare several airlines and book your cheap flights to Plettenberg Bay online at Travelstart! There are no specific or mandatory vaccinations required for visiting Plettenberg Bay. Vacationers are still encouraged to be up-to-date with all routine vaccinations. These vaccines include measles-mumps-rubella (MMR), diphtheria-tetanus-pertussis (DTP) and yearly flu shot. • Do not leave your handbag unattended. • Avoid carrying large sums of money around. • Lock away your valuables in the hotel or guest house safe. • Do not walk around alone at night. • Do not trust strangers at ATMs. • Make sure to always keep a watchful eye on the shark flags at the beach. • Do not go swimming under the influence of alcohol.